If your skin can sometimes look shiny, has visible pores and is prone to the odd breakout, it’s likely you have an oily or oily/normal skin type. 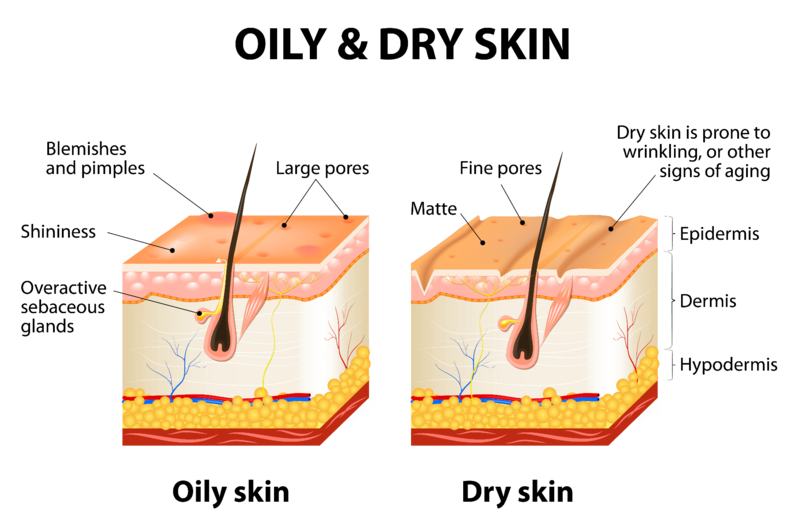 The oily substance often found on the surface of the skin is known as sebum. Sebum helps to lubricate skin and hair to protect them from drying out. The sebaceous glands are usually found in hair follicles but also are present in other hairless parts of the body, such as the eyelids. Our skin type is often inherited, which means the size and number of oil glands in the skin is determined by our genetic makeup. The levels of androgenic hormones (male hormones) in the body, controls the amount of sebum produced by the oil glands. When androgen levels increase, the skin responds by producing more sebum. Androgen levels can be affected by stress, and tend to shift at different life stages, such as during puberty and pregnancy. In a normal hair follicle structure, the sebum drains into the hair follicle, and then flows out through the follicle opening onto the skin’s surface, thereby keeping the skin lubricated and supple. However, when the glands produce excess sebum, the follicles becomes blocked, which can then lead to the formation of acne. Use a gentle soap-free cleanser to cleanse your skin, morning and night. Avoid using face products with a high oil content. Avoid makeup that may clog pores, leading to breakouts. Avoid over cleansing, as oil production is your skins natural anti-ageing mechanism. Apply Ultra Purifying Mask 2-4 times per month to the skin to mop up excess sebum production and cleanse pores. Use a lightweight moisturiser that helps to maintain the skin's healthy lipid barrier. Use mattifying skincare products during the day to absorb excess sebum. 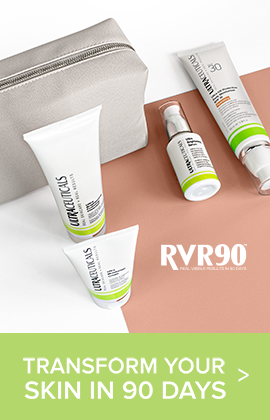 At Ultraceuticals, we have a range of products that are designed to complement an oilier skin type while still providing hydration. Your skin needs a certain amount of oil to keep it at it’s healthiest, so a product doesn’t need to be oil-free in order to be suitable for oily skins. Our Ultra Gel Balancing Cleanser is an innovative gentle formula that contains no Sodium Laureth Sulfate or Sodium Lauryl Ether Sulfate (SLES) surfactants, and is designed to gently cleanse and remove impurities without disturbing the skin’s natural moisture balance. Pair with the Ultra Hydrating Lotion, a lightweight fast absorbing moisturiser that leaves a shine-free finish, for an ideal oily/normal skin cleanse & moisturise routine. Alpha-hydroxy acids (AHA's) and Beta-hydroxy acids (BHA's) found in our Ultra Even Skintone Range help to absorb excess sebum, and to unclog pores. Add SPF protection during the day with our Ultra UV Protective Daily Moisturiser SPF 30 Mattifying, which contains 5% Silica, a mattifier which absorbs excess sebum. Ultra Purifying Mask can be used 2-4 times per month as part of your skincare regime for oily skin. The Purifying Mask is an innovative non-drying and soothing formula that contains kaolin and bentonite to mop up excess sebum, while powerful exfoliators, salicylic acid and mandelic acid, work to effectively unclog and purify pores. Finish your daily look with Ultra CC Powder Pure Mineral Foundation, which helps to absorb oil, leaving a flawless matt finish. Suffering from breakouts? 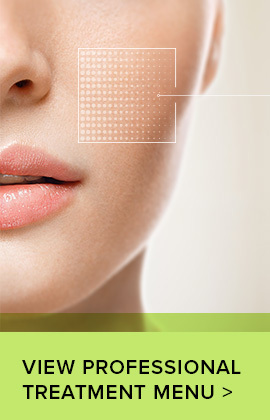 Get more information on how to care for skin prone to acne and congestion here.